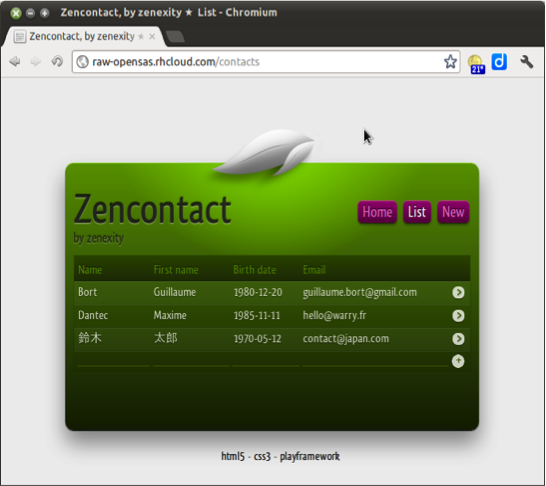 Play2.0 | Having fun with Play framework! The original post can be found on the ekito website. For one of our client, we need to show a map with vehicles position updated in real-time. So I began to make a prototype using Play! 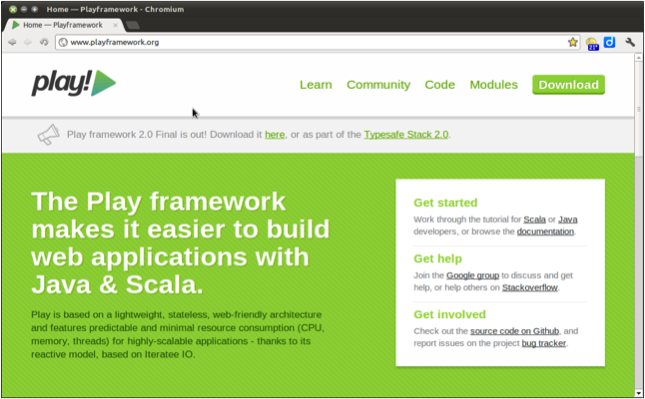 framework, with its latest released version 2.0, using the Java API. I started from the websocket-chat of the Play! 2.0 samples. The purpose of the prototype is to show a moving vehicle on a map. The location of the vehicle is sent to the server through a REST call (at the end, it will be sent by an Android app), and the connected users can see the vehicle moving in real-time on their map. First, let’s look at a small demo ! So, at first, to make the things a bit pretty, I decided to integrate Twitter Bootstrap (v2.0.1) using LessCss. For that, I used the tips from the following article (nothing difficult here). On the server part, the websocket is created by the Application controller, and is handled by the MapAnime.java Akka actor; it accesses Akka native libraries to deal with the events from the controller. The “register” and “moveTo” methods are called by the controller, they send messages to the Akka system. These messages are processed by the “onReceive” method. For instance, when it receives a MoveMessage, it creates a JSON object with the longitude and the latitude and it is sent to the clients through the websockets. I also quickly wrote a test class which parse a text file, and send REST requests with a new location to the server every 100ms. The project is hosted on Github. It works with Google Chrome v17 and Firefox v11. The problem I need to solve now is that the application is not Stateless, because in the Actor, I store a Map of connected clients. Maybe I’ll need to look at Redis or something, any help would be greatly appreciated.